The Battle of Fort Wagner was fought on Morris Island near Charleston South Carolina in 1863 and is infamous for the assault on the Confederate held bastion by the Union’s 54th Massachusetts regiment. The 54th were a brand new regiment recruited in Boston and composed entirely of volunteers…and all former-slaves or free-black men. 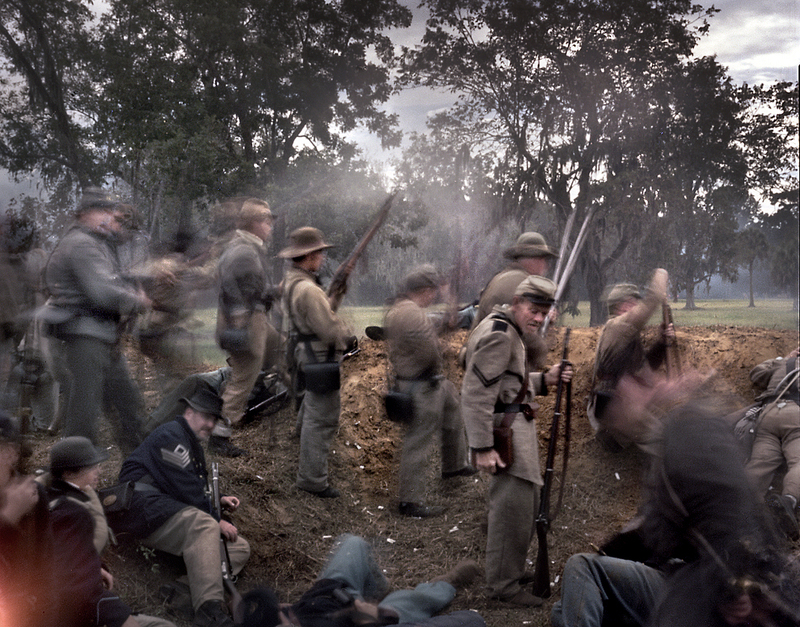 One hundred and fifty years later a reenactment of this famous Civil War battle occurred outside of Charleston at the historic Boone Hall Plantation. Just a few miles away, the City of Charleston is considered America’s “friendliest” city and continues to be a wonderfully preserved antebellum metropolis. The pristine salt marshes and islets of Sullivan Island, James Island and Morris Island, the harbor’s forts and South Carolina’s colonial and civil war era histories are explored here. Click the link below to see pinhole camera images of Charleston and the Carolina low country in commemoration of the 150th anniversary of the Battle of Fort Wagner.